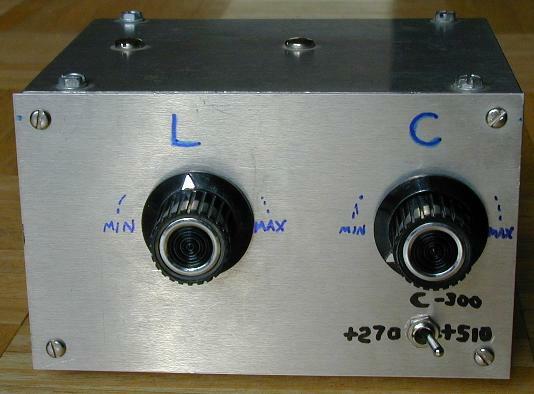 Build the tuner in an aluminum project box. Drill holes in the box to mount the various components. Leave plenty of room around the sides of the components to prevent RF arcing. Be sure to keep both sides of the variable inductor insulated from the box, you may need to use insulated bushings (non-conductive washers) on the inductor’s shaft. Use heavy hook-up wire to connect the various components together, I recommend 18 gauge tinned cooper wire, or thicker. Use the shortest wire lengths possible. I used the smallest box possible for the components that I had, a larger box would make the project somewhat easier to build. 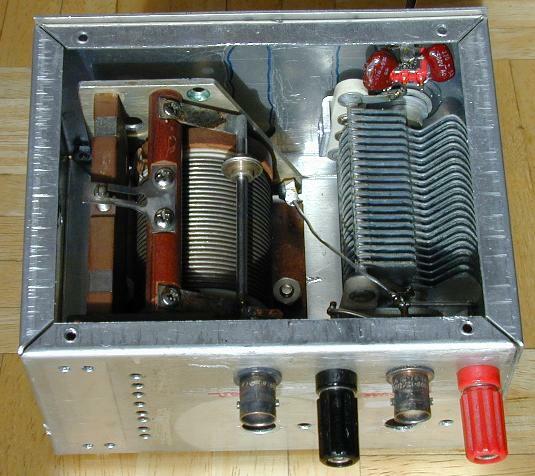 Be careful not to leave the transmitter on for too long in the unmatched condition, doing so can damage the output transistors. 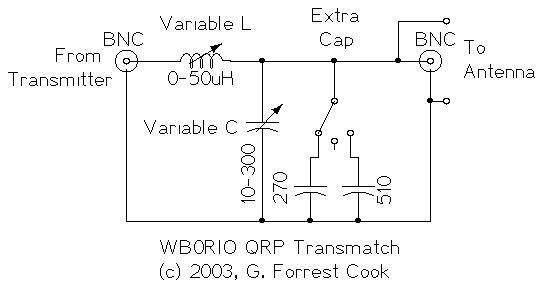 If your transmitter has a variable output power, tune up at low power then re-adjust the circuit at full power. 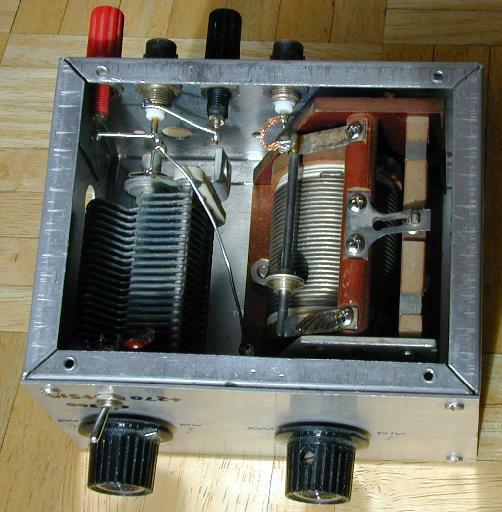 If you are using a vacuum tube transmitter, don’t worry about it. Caution: higher power transmitters can generate high voltages in this circuit, don’t touch any of the wires when the transmitter is operating. The set screw on the roller inductor knob may be electrically hot during use, you may want to cover it with a drop of plastic glue after tightening.